Watch your step -- we have some visitors in the dungeon, and they're fragile! This week Josh and Emily talk Turtles, triumphs, intrigue, and repetitive stress injuries. Will Emily become the WCW champion? Will the Haunted Jukebox earn a name? Will Tee the Dark Knight ever stop leaving the window open? And when will we hear the next installment of BurgerTime Time? Tune in for some answers! Another wall of text, so forgive me! Teenage Mutant Ninja Turtles. When I was young, I was a child of the arcade. My two older brothers and I could be seen in the arcades spending a lot of time attempting to beat games. One day we had a goal... to beat Teenage Mutant Ninja Turtles. I was Leonardo, who at the time was my favorite at the ripe old age of 4, but after a while the controls were messing up so I had to pick the only free spot available, Raphael. At that time I was in the zone, doing amazing, not dying and, with $5 a piece we got to shredder. At that moment, we had four or five other kids watching us and cheering us on. The cries of encouragement fueled us, but we met only defeat by his one-hit-killing mutagen. When we fell to the wayside, three more kids came to take over and beat him. We watched the ending as a team and everyone was patting each other on the back and hooting and hollering. What a day! From then on out Raphael was my all time favorite and still is to this day. As for your guys' discussion on what you would like to see happen in TMNT, in the comics recently, Raphael took control of the Foot Clan. True story! As for Video Game music bringing people together more than other music, oh Absolutely! I think it really deals with having a love for something a bit more obscure or unknown. With the popularity of some soundtracks like Undertale, Shovel Knight and games like Gone Home that put a huge focus on the musical choices, there seems to be a much more larger group of people who like to enthuse about video game music. Heck, what do you think this podcast is all about!? You guys aren't in a bubble, don't worry. Video Games are more mainstream now and with that are a lot more people who are growing up with them and loving every aspect of them. Also, Jukebox name. I like Haju, he is like the musical sidekick to Johnny Quest....wait, haha! As for putting names on high scores, I have the benefit of having a shortened 3 letter first name, Jon, albeit it doesn't show up on many high score lists sadly! Anywho, Love the choices guys. My 10 month old, Roz and I were dancing along to the last two song choices. So good! P.S. You should totally round up a few of those Dry Bones and put colored bandanas on them! What an epic story, Bogus! I love how the whole group of you got involved and everyone shared the victory. Please tell me you had pizza afterwards. I wonder if you have the same problem I do: I'm so used to Raphael now that I can't handle the other Turtles well in the beat-em-ups. My timing's all wrong, and I don't have an intuitive grasp of where the longer weapons' hit detections are. How a person can be bad with a righteous Turtle like Donatello is anyone's guess, but somehow I manage to be that guy. Wait, which comics? The IDW ones? I was loving them but haven't kept up for the last year or two I've been in school. Now I absolutely have to get back into them. I haven't listened to the episode yet, but I wanted to touch on something BMF alluded to.....I love the fact that I can play The VGM Jukebox for my kids. A lot of the other VGM Podcasts get a bit vulgar at times, so it's refreshing that I don't have to worry about them hearing something inappropriate on this show. Thank you! Knowing that some of you folks are listening with your kids makes me happier than I can possibly express. We deliberately make this podcast rated E for Everyone, but once in a while a mild curse will find its way into the mix. My hope is that we still maintain our family-friendly status despite that; I admit I'm not entirely sure where the line is for most parents these days. I have been humming the TMNT song all day I love it! This game had good music and it was a very difficult game. I have beaten it and it is a great feat indeed. The scrolls which you mentioned do make it much easier and I remember I was so happy when I finally beat Shredder at the end. Congrats! Also all the Gimmick! music I have ever heard is also awesome. That WCW track has some insane arpeggios going on! I love the Sophia track so much. It's so breezy, and that bass is so phasey, and hollow. It has the opposite effect of R-Type on me while driving. It makes me want to slow down, and just cruise. Josh, what kind of class do you teach? In what capacity do you play game music? That's so cool! Emily, when you feel a burning, or general soreness feeling while playing, that's just your muscles getting in shape. But, shooting pain, electric shocks, tingling, or numbness in the extremities is very bad! It means possible nerve damage, or muscle damage is impending if you continue! That's your body telling you when to stop! I have done this to myself, when over practicing guitar. My left hand and wrist went tingly, and partially numb for several days. I over did it big time. I teach English composition and sometime I use video game music to signal the end of a timed writing assignment or just have it playing when they walk in. Last episode, Emily asked us to mention a game we loved as a kid, but is not very good. My pick is Mickey Mouscapade for the NES. I loved this so much when I was younger. I new all of the secrets, like how Minnie Mouse didn't take damage, and if you were careful, you could get Mickey in a safe spot, and only have Minnie in the line of fire during a boss fight. (Minnie would follow Mickey ala Sonic and Tales in Sonic 2). It is just not very good though. I was just before the Capcom era of amazing Disney games. Uh-oh……you guys played a stereo NES track. But there are no stereo NES tracks, because the NES was not a stereo machine. It must have been the phantom Jukebox. Seriously though, pleeease be careful where you source your NES tracks. Somewhere along the way, people found out they could slightly pan the oscillators in the NES to create a stereo effect. That became even easier with emulators and software to rip tracks from the ROMs of the games. As far as I can tell, the whole thing blew up when a guy on the FF Shrine forum named Ed started ripping stereo NES tracks and taking requests. Stereo NES tracks sound really good, and if I were ripping my own for personal use, I might rip them in stereo as well. But shows like VGM Jukebox curate music(and memories), and I feel it’s your responsibility to present them as the composer created them, not as somebody else thought they should sound. This Ed started a VGM podcast a few years back(Pixeltunes Radio), and he felt that there wasn’t anything wrong with adding stereo to NES tracks. But by the same token, I’ve heard podcasts where they add reverb to Mega Drive music to tame the in-your-face nature of the MD’s sound. When people take liberties with the music they present, they’re no longer presenting the tracks the composers have written, they’re presenting their own interpretation of those tracks. I know you guys didn’t set out to play a track that was altered from the original; these tracks are so prolific that I’ve heard them pop up (usually by accident) on every other VGM podcast except for LMH. I just wanted to broach the issue now before it became a common occurrence. Moreover, since VGM Jukebox is also about memories, I could theoretically see you guys play a stereo NES track if a Patron had a certain experience they wanted to share involving one. So the Phantom Jukebox definitely deserves a name! I was initially thinking Jiuba-kun, which as far as I could tell would be the Japanese abbreviation for Juke box…..but Josh’s idea of Haju-kun is along the same lines and better in every way! I think Haju-kun will be thrilled with its name. Naka-kun! Thank you for this passionate response. I think I have good news for you, though! If you're referring to the World Cup Striker tune, that is actually a Game Boy title. I didn't realize it until you brought it up, but we completely neglected to mention the system. That is the track you're referring to, right? Here's hoping! In any event, I'd love to hear how the rest of the patrons feel about adding reverb/stereo capabilities/etc. to the original chiptune material. I have my own opinions, but I'm keeping them to myself for now! This would be a fun thing for Josh and me to discuss on-the-air. For the podcast, I definitely am in support of keeping the music featured, strictly from the game itself and unchanged, only because the podcast is really about said original game music. Now, when we talk about, "The way the artist intended," the reality of it is that the composers were just working with what they had. If you gave them an opportunity to make a soundtrack with SNES sampling or a full orchestra, you know that they are going to pick the orchestra. 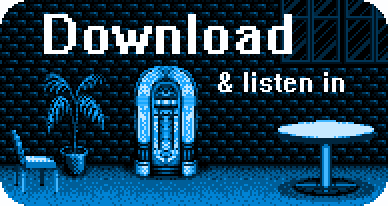 Again, I viewed The VGM Jukebox to be strictly about original Video Game music. I meant to say ubiquitous instead of "prolific". I also forgot to mention "Sophia", which moved me like no song has in a while. I've seen the Kageyama piece in "Diggin in the Carts", and his story is so powerful to me. It's great to see such a humble, earnest guy get recognition for the work that he did, even if it was 30 years after the fact. Knowing that, and how he made that music with the intent of making children happy, makes the music all the more poignant. It also started a conversation I had with my wife about how we listen to HOW a song sounds as much as the composition itself. We were driving home Sunday and I told everybody we were going to listen to a beautiful, happy song. After we listened to the song, she said, "I wish there was a way to listen to these with real instruments". She totally agreed that the composition was beautiful, but she couldn’t get past the container. I think we’re all like that in a way. It may be subconscious, but we’re all as affected by a composition’s production style as we are the beauty of the composition. The pop music I listened to as a kid was no more or no less stupid than the pop music on the radio today, but somewhere along the way I found that the flavor of expressing that stupid music had changed to the point where I couldn’t accept it anymore. And that is my wife’s problem with video game music, along with most folks who don’t care for chiptunes. She didn’t grow up playing and enjoying games, so she never learned to appreciate game music on its own terms. This music that I so deeply enjoy rarely moves past harsh, sequenced noise for her. I am having this exact conversation right now on VGMpire’s blog. One of the guys there often brings up the fact that he tricked his parents into liking videogame music by playing them an orchestrated arrangement of The Legend of Zelda OST. The truth is he didn’t trick them at all; he just gave them the compositions in a container they could accept. You bring up some great points. I too have played modern game music, or modern arrangements of old game music around non-gamers, and they are always stunned when I tell them what it is. By the same token, I can't stand euro dance techno, but when composed, and played through the C64, I think it sounds amazing. So, the container is what allows me to drop my guard? It's intersting to think about. How embarrassing! Looking back on my “stereo NES” comment above, I was tempted to delete it for its somewhat caustic tone. But I’ll leave it for my own humility. Hopefully, if Ed ever reads this, he can forgive me for being such a cur! I would have to "echo" what ND posted (Pun intended). I would request that you refrain from adding stereo, reverb, or other post processing effects, unless it is directly tied to a testimony. You are correct! It was the soccer game. Thank you for the clarification; I feel a lot better. The same thing happened over on VGMpire a few weeks ago with the Jacky Chan episode, but it actually was a NES game. Anyway, it makes me relieved to hear. And I agree with BMF; I would guess most composers would choose to wield an orchestra if they could. But since we only know how the music was presented to the world, that should be the target we're aiming for in terms of presentation. It also reminds me of an idea I've wanted to try sometime......I've long maintained that the Genesis's weak point with regards to sound isn't its FM synthesis, but its sampler. I've often thought about taking Genesis tracks and replacing the samples(specifically percussion) with high-quality samples of a similar feel. My thought is that the tracks would sound fabulous--much closer to the Neo Geo(which also uses FM Synthesis and higher quality sampling). Taken only as an experiment, I think it would be a fun idea with interesting results. I could almost swear this happened on at least 1 Sega CD game. The perfect setup is there. You have the PSG, and FM chips on the genesis, and really high quality, multi channel sample chip in the CD side, which could potentially be turned into a giant drum kit. The sample quality of this chip far out performs the SNES. Man, that hardware was so underused. I'd like to hear the Jeff Van Dyck soundtracks, probably only Skitchin', like this. I can't get down with it because the guitar samples are so poor. I get they were limited at the time, but that soundtrack relies on guitar so much that it really gets in the way a lot for me. Same for some Sunsoft titles with a lot of bass (Batman). Those samples carried a ton of high-mid frequency hiss with them, and that can wear on me after a while. Emily, count me as one of the people who continues to listen to video game music, and seeks new soundtracks out, because of the genre thing. As a composer, I've been on a quest for a few years to bridge genres and make something new out of different parts, and it had been tough because my whole life has been entrenched in different but specific genres, not just "music." It wasn't until a few years ago that I really discovered VGM beyond nostalgia when I began listening to soundtracks to games I never played. Something like Sophia (my fav track from Mr. Gimmick!) is a great example. If you played that on different instruments that more or less belong to different genres, it wouldn't feel the same. The electronic arrangement, or more specifically the lack of instruments that imply genre, leaves the composition more bare than straight up orchestration for a symphony, which I think we tend to think of as the most musical full arrangement you can have. Even if you played video game music on solo piano, you're still implying classical or jazz. You have the programming running through a chip and it's wholly new, and we can only associate it with the media it came from ("video game music") to categorize and make sense of it. Games like Shining Force show how all over the place composers can get w/ compositional approaches, I think. That theme compared to the town music isn't clearly related, but we can still pair them together and think of the collection of songs cohesively. If that were a pop album, it would face some criticism. Even in Japan, the group Perfume put out a critically acclaimed album (Level3) with one song that felt a little out of place, and it was a common criticism that the song that sounded happier than the others was a mistake. This is also why I prefer soundtracks to chiptunes, because you get into genres w/ chiptunes, like EDM genres. It's like if we can't write music for a different medium, where the music isn't necessarily the focus, we can't create something truly unique. I'd love to hear Kazuo Hanzawa make a legitimate album to compare that work to Gunstar Heroes, which I think is straight up genius. THE DUDE IS A MUSICAL GENIUS. But would that album be less interesting than the game music he's done? Someone like Kozo Nakamura and the rest of the TMNT game composers tend to write in a style that you could interpret with a jazz/fusion band and still get the feel, but again, when it's just through the chips, it transcends its own composition leanings toward genre. You're left with just the tones of the notes a lot of the time too, since there wasn't really a ton you could do in terms of modulation (unlike a guitar through pedals, or mixing an album with plugins and outboard gear). Yeah, you could affect the waveform, but you couldn't do a lot of things you can do to sound now (EQ for one, which is really basic). But then you get someone like my wife, who doesn't like it at all because it's so closely associated with something not music, and doesn't make sense to her out of that context. You might have to be a musician, or deeply appreciate music in a particular way, to see VGM in the way I'm describing. I can definitely see how not everyone would see it this way. But you're not alone, Emily! Now that right there was a Quality comment, ladies and gentlemen. This ties into an earlier conversation Josh, Emily and I had based on a comment Josh had made about videogames not relaying cultural information. I disagreed with the basic statement, but something Josh later brought up made me think I hadn't understood him properly. But I'm also a multi-genre music appreciator, and maybe videogame music is a little bit responsible. I still maintain that videogame music was often written with certain specific styles in mind, and as time brought about the dual effect of 1)more advanced hardware and 2)compositions that better exploited whatever hardware the composers/sound designers were using, game compositions only became more clearly aligned with specific musical styles. Having said that, Quality, you really elucidated something I hadn't quite realized. Game music has also had its own identity from the very beginning, and even though its methods of expression often follow musical trends, it has still created its own style that is distinct from other forms of music. I see this clearly in the early CD-based games, which often have redbook music but are still largely composed similarly to "chiptunes"(I hate that term) but with normal instruments. That's one of the reasons Brent from LMH doesn't care for modern chiptune music; even though it uses the vehicle of old game systems for its method of expression, it isn't composed as game OSTs were. It just sounds different. I've also realized through your comments that one of the defining elements of videogame music is that its identity is partly borne out in its function. Game music can be pretty, but its main purpose is to pull the player into the game. In this way videogame music is similar to movie scores. Movie scores, like games, encompass all different styles. They can be electronic, orchestral, or even culled from various commercial releases. And even though they encompass every musical style, they still maintain their identity as a creation designed to service a larger creation. That uniqueness makes them beautifully transcendent compared to just one style of music. Maybe a guy like him has roots so deep in the constraints of the early hardware that he's come to identify that new sound we're kinda accepting as "video game music." He just calls it "game music." So to him, music in contemporary games isn't truly music for games? This is all just stirring in my mind right now as I type, maybe not the most thought out stuff, but that's where my head's at. Also, Nakamura & Co.'s TMNT soundtracks are more rock/funk, kinda hip-hop than just jazz/fusion now that I think on it. But there are some things pretty unique to everything I think, like the track with the News Theme at the start for Turtles in Time (arcade) that breaks into another heavier piece with no transition. I know the News Theme is from the show, but that team really captured the Turtle sound in those games. Very hip for the time, but from the cartridge or board, those songs take on a different life.